After a sweet announcement about some new sugary additions to its menu, Tim Hortons has quietly released some fresh savoury morsels for Canadians to try too. 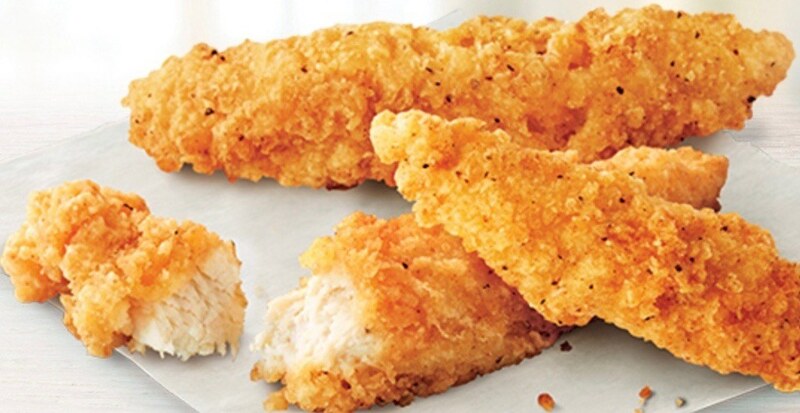 The Canadian chain has been bulking up their offerings in recent years, and now hot on the heels of the release of the Timmies Mini menu full of kids meals, the brand has released crispy chicken strips for adults. Complete with a selection of sweet ‘n sour, honey mustard, or BBQ sauce to choose from, the new strips one of two new products up for order. The other dish is the Sausage Wrap Snacker made with egg, sausage, and cheddar cheese in a grilled tortilla. Get these items at participating Tim Hortons across Canada.